I think the obvious question fans of Penismouse are all going to be asking is who is Kristof Babaski and why have we never heard of him before? That’s a good question! I was speaking to a young man called Adam Gierasimiuk at the ‘Forgotten Stories’ exhibition of film & television archive in Warsaw, when he showed me small extracts on a small screen from a film named Myszochujek. I thought it was very funny, and spent lots of my own time looking to get my hands on a copy for myself. It took me a long time, nearly 3 and a quarter years to locate the an original print. I am looking at a fiction piece at the moment from the same source, so don’t want to give away too much of where I look for hidden gems!! Why have you decided to release Myszochujek now, over 50 years after it was originally made? My collective is called the ‘Polski Klub Filmowy’ [Polish Film Club], and I set it up, mainly with friends, to release unusual film works. There were only very small clips from Myszochujek and none were on the internet, so I wanted to properly handle the footage and restore it in HD for the online world to watch. Some of the old audio was badly damaged, so we had a fantastic sound mixer redux a lot of the sound. Poland is rich with fantastic films, and anything we can do to shine light on some unseen works makes us very happy. We meet once a week and set up film screening nights. Myszochujek is described as ‘a playful film about control’ – What do you think Babaski was trying to say with his tale of this extroverted mouse who wants to play? I can only give you my opinion! For me, I think it is a very personal film about creativity. Myszochujek seems happy-go-lucky, playful and just wants someone to join in with him. However, things don’t seem to work out with the way he is, so perhaps this mirrored Babaski in some way? I particularly like his playful use of manipulating the frame of the film, as it seems to run in parallel with the character of Myszochujek. Maybe he was frustrated with his creativity? Maybe if life wasn’t so serious all the time we’d all be a bit happier? The end feels like there’s hope though, like it’s about adjusting how you look at things. That’s just my take on it, but like many films they should open up debate surrounding its themes. I can imagine Babaski’s film being quite controversial at the time of its making – how do you think its story has survived the test of time? It makes me think it may not have been allowed to have been screened at the time it was made. 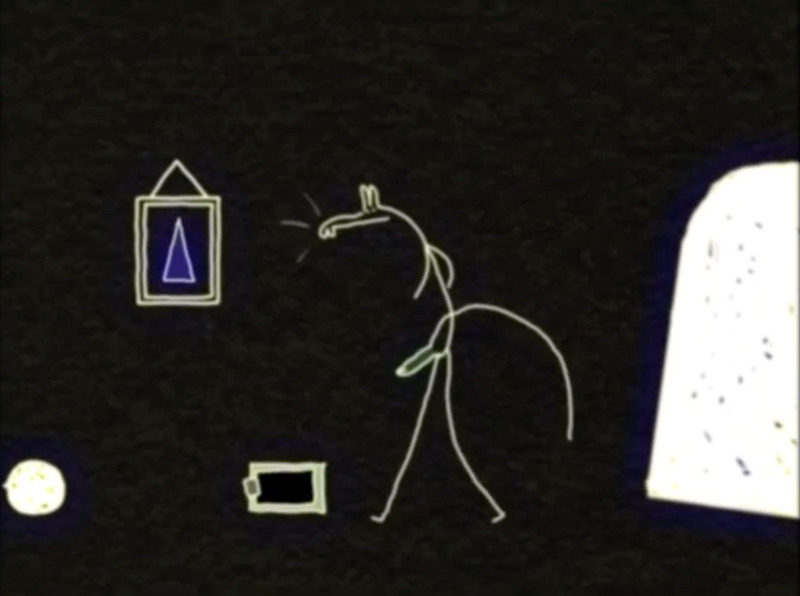 It shows a naked mouse with his private part out waving around all over the place. It’s also a very jarring film and quite experimental. This is why I am proud of restoring it, and screening it today, because I feel it has an audience now. People seem to be very open minded to unusual works, and being able to share them for free is important in my opinion. It is also important to watch the history of film, especially when they are special like Myszochujek. Are there any more adventures of Penismouse or other Babaski classics waiting to be released? As I mentioned there is a work I am looking to acquire soon and release. It’s all under wraps just now! As far as I am aware this was the only Myszochujek film… But you never know, there could be another one hidden away somewhere waiting to be discovered. If you’d like to see the naughty little mouse on the big screen then come on down to the Sonic inspired Bar Shorts on 26th March. It will be the first public screening so you’ll be all like hey guess what I saw last night? Its at The Book Club in London, and its free, and there will be music and general gaiety.